Need to Sell Your House Fast in Phoenix, Arizona? No Problem! We Buy Houses Arizona and all across Phoenix. How Do I Sell My House Fast In Phoenix, Arizona? It doesn’t matter if there is little equity in your home or there are liens against it… we can still buy your home for cash! It doesn’t matter what kind of condition it is in… we will still make you a bona fide “as is” offer to sell your home in Phoenix, Arizona fast today! We buy houses Arizona, even if you are currently late on payments. If you have problem tenants that you don’t want to deal with, we can take over the problem with our all cash offer to buy your house. Remember, We Buy Homes in Arizona! Sell your home no matter what condition the house is in. If you need to sell your home fast, need cash, or just want out, we can help! Our “We Buy Houses Arizona” and “We Buy Houses Phoenix” solutions are designed to solve these problems. Click Here For An Instant Fair Offer to buy your house Phoenix, AZ Today! There are many seller benefits to working with us when we buy houses Arizona. When We Buy Houses Arizona and Phoenix, We Can Close On Your Home Quickly! If you are thinking “Can you close quickly if you buy my house fast in Phoenix AZ”, then you will be happy to know that we can buy your house in as little as 15 days or sooner if you need us to. If you need more time for us to buy your house, just let us know…it’s no problem. A traditional realtor listing takes an average of 75 days to sell your house and another 30 days to close the deal. We can buy houses Arizona and across the Phoenix Metro area much faster. Save You Money And Protect Your Credit When We Buy Houses Arizona! If we could buy your house in Phoenix, Arizona and save you money, would that help? On the traditional sale of a house, the Seller, on average, receives only 87% of asking price (after paying all costs – including Realtor fees). That doesn’t include requests from buyers to fix items within your house when you are trying to sell your house fast. When we buy houses Arizona, you won’t need to worry about those things because we do not charge a commission, we buy houses Phoenix and we buy houses Arizona in as-is condition, and there are no closing costs. If you can’t make your payments, we may buy your house by taking over your mortgage and keep them up to date and protect your valuable credit. The worst thing you can do to your credit is a foreclosure and it is one of the hardest credit issues to recover from. Selling your house fast in Arizona can help avoid foreclosure. Sell House Fast Phoenix Hassle Free! We are not acting as Realtors in these transactions. You don’t have to deal with a salesman. You don’t have to deal with banks. You don’t have to deal with unreasonable requests from buyers when you want to sell your house fast in Arizona. We are investors and want to buy your house. When you think; I want to “Sell My House Fast Arizona”, you make the decision whether or not our offer is acceptable. 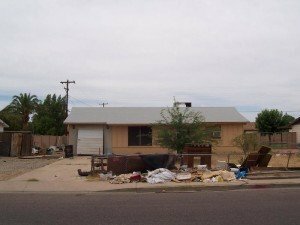 We Buy Houses Arizona – No Risk, No Obligation Offer To You In 24 Hours! We will make an offer to buy your house in Phoenix, Arizona within 24 business hours. There is no risk. There is no obligation. It’s completely up to you. If you like what we have to offer, we will buy your house. If not, we will thank you for your time. All you have to do is fill out our brief we buy houses Arizona questionnaire. We will get in touch with you within 24 business hours and make an offer on your house. We will make every effort to answer any questions you might have about our program and if you like what you hear, we’ll complete the arrangements to buy your house and go to closing as soon as you are ready. When we buy houses Arizona, it’s as easy as that. Cities Served by Instant Fair Offer, and more!